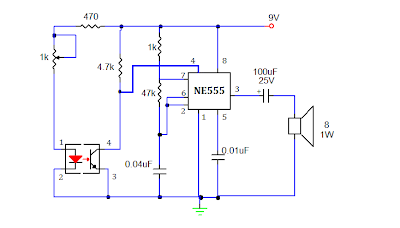 Here I am presenting you a simple smoke sensing alarm circuit using 555 timer. By using this circuit you can detect smoke and it alarms when the air is contaminated. 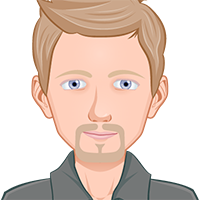 Let me introduce you the components used in it. This smoke detecting alarm is based directly on an astable multivibrator and sensor (Photo interrupter module). The sensing module triggers the oscillator and generates an alarm through the loud speaker. How this smoke detector alarm works? The photo interrupter module consists of an LED and a Photo transistor. The light coming from the led falls directly onto the photo transistor, this makes the collector terminal to go ground potential and activates the reset control of 555 timer. 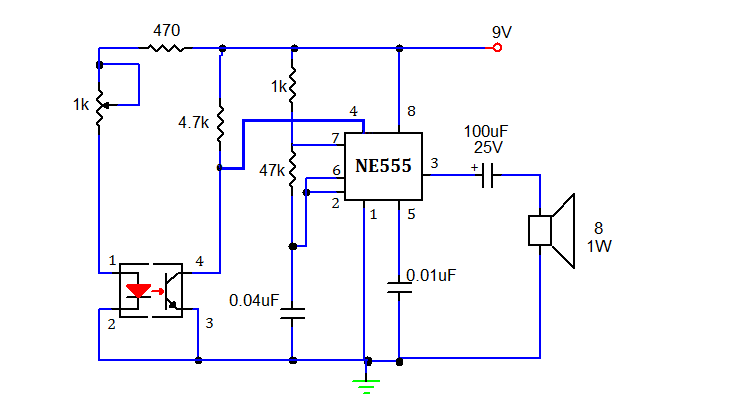 If there is an interrupt on the path of LED and Photo transistor as smoke, the light doesn’t reaches the transistor causing the collector voltage approximately equal to supply voltage and it is fed directly to the reset pin of NE555, which is wired as astable multivibrator. The high voltage at this pin enables the ic and it produce square waves continuously, which in turn drives the speaker through a coupling capacitor. Here the astable multivibrator is configured as AF oscillator with a frequency of 379Hz, so as to hear the alarm through Loud speaker. 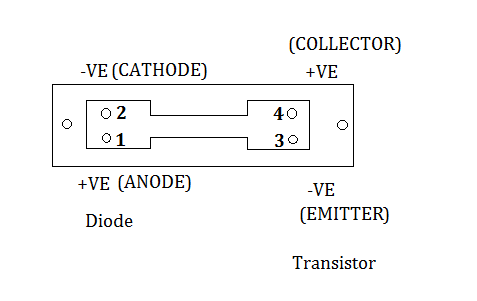 what are the calculations that led to this circuit? can you show me? is photo interrupter module available in mumbai,INDIA? If YES then at what price?